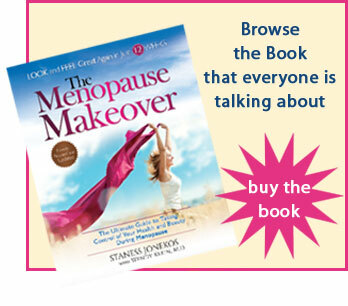 Going through menopause can be challenging both physically and emotionally, affecting your relationships. If you find it difficult to communicate verbally with those who are reacting to your moodiness, crankiness, spurts of anger and requests to turn on the air conditioner, it is often easier to express yourself in a letter. This suggested letter may give you a head start. Lately I have not been feeling like myself. Despite the daily stresses we all experience, I am going through perimenopause (menopause, postmenopause or surgical menopause) and suffering from uncomfortable symptoms. This is a normal, natural part of a woman’s life. Yet, I am feeling anxiety about my changing body, roller-coaster emotions, constant hot flashes and aging that are starting to unfold in my life. Unfortunately, we live in a society that does not embrace this transition. I would like to ask for your support and understanding as I pass through this important time in my life. There may be situations when you think I am acting like a crazy woman – or crazier than times in the past – and I am. I assure you, my fluctuating hormones are making me feel out-of-control and cranky. There will be times that I cannot snap back quickly to my normal self. When you want to run away, please know that those may be the very times when I need you most. Offering to help with chores, or asking what you can do to help, would be appreciated. If I growl back, feel free to run and hide; I understand. But know that your love will help carry me through this big-time life transition. If I am freezing you out of the house as I constantly lower the thermostat in an attempt to survive my hourly hot flashes, remember that those extra blankets in the linen closet may save you. Feel free to ask me questions, so you may understand my journey. I want to share with you. I look forward to when my hormones finish adjusting, so I can feel normal again. Just as puberty may have been traumatic or frustrating to you, menopause is equally exasperating for me. I value our relationship, and wish to continue a loving, strong, fulfilling connection with you. Thank you in advance for taking the time to understand, support and love me during this passage.